Creation of a mailing piece targeting decision makers in large corporates that could become campaignable to maintain dialogue and on-going contact with prospects. 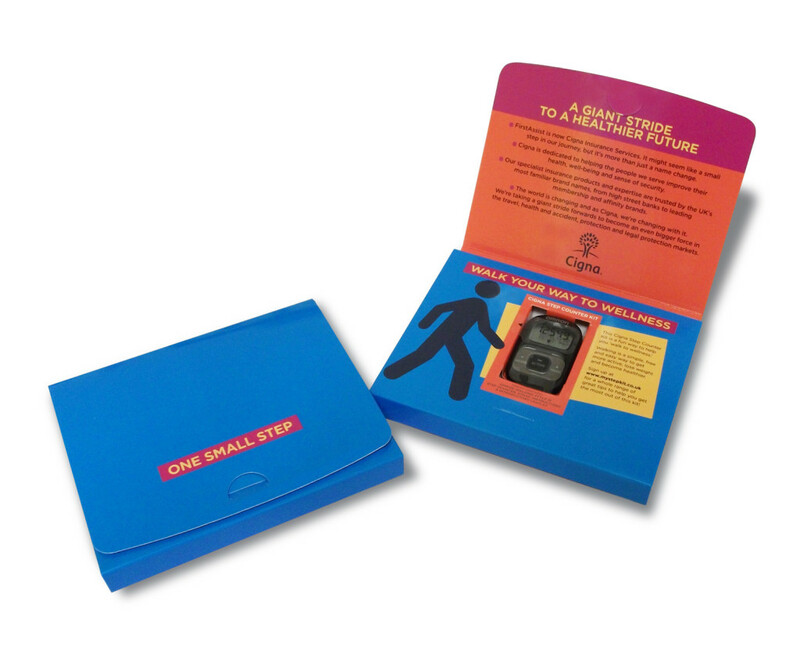 We provided a selection of alternative approaches from which the Cigna Step Kit was selected as an approach likely to ‘get past the gatekeeper’ to reach the intended recipient. 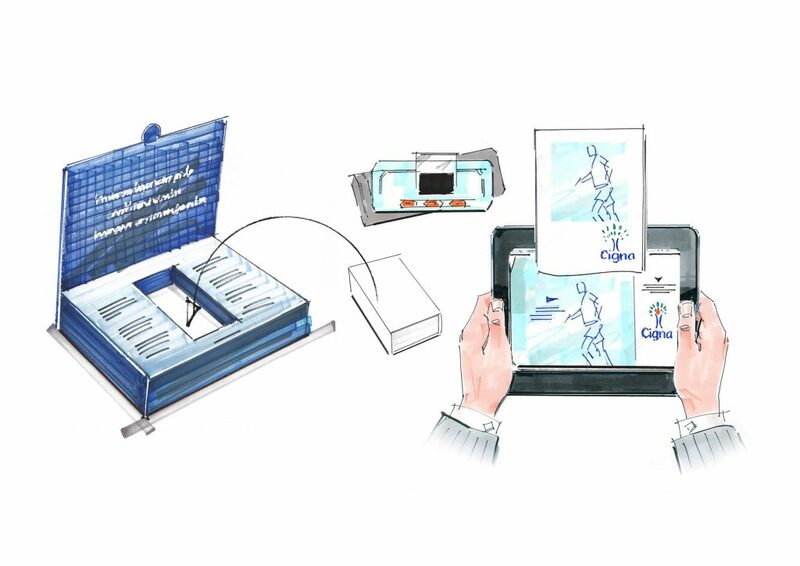 The idea centered on messaging about clients thinking about a healthier lifestyle at work to highlight Cigna’s global leadership in travel and health insurance. 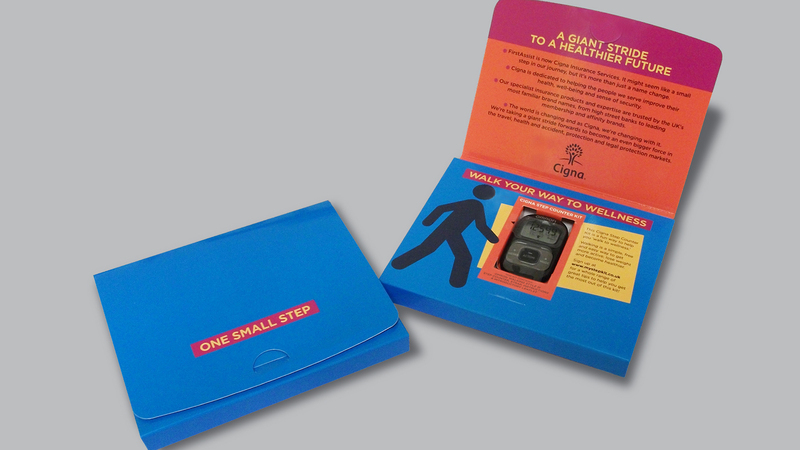 The kit included a pedometer to enable recipients to monitor their daily activity and they also received follow up e-mailers allowing them to interact with a micro site with tips about keeping fit and healthy at work. Great traction with the mailing, which resulted in unprompted requests for additional kits and also on-going engagement with prospects to set up face-to-face meetings when the sales team called.